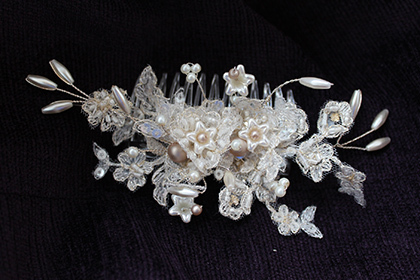 Jacquie designs and makes her own tiaras, hair combs, decorative hair pins, feather headwear and alice bands in a variety of specially selected laces, pearls, beads and crystals quite often the same as those used on the bridal gown. 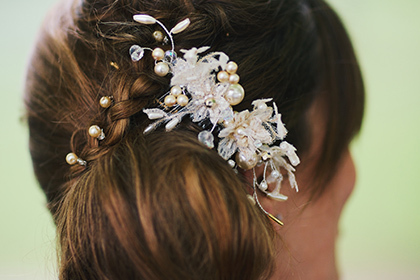 She also makes all her veils by hand with a variety of edges and adornments. 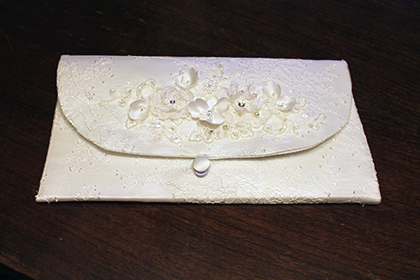 Other handmade accessories also include fascinators, dolly bags and jewellery.